If you’ve been living under a rock, ReAwakening 16 saw new Tag Team Champions crowned in Generation Zero’s Hayden Zenith & Allyson Cruz. With a fresh new year, they can also expect to find two big red targets on their backs with, perhaps EPW’s most dynamic tag team division ever, taking aim. So how likely are Generation Zero to lose the straps this year? We decided to look at the odds that each tag team that entered the Re-Awakening Contenders Rumble (as well as a couple of others) have of winning the gold in 2018. •	You have the exact same odds of being killed by a Box Jellyfish in Australia. Fair enough. •	Apparently Rojo & Amarillo have a highly successful taco joint on the south side of Tijuana that keeps them busy when they’re not appearing on EPW shows once every 5 years. All the power to them, but the closest they’ll get to tag gold are those knock-off replicas sold on the mean streets of TJ. •	Wishful thinking that their appearance was more than a one off, but I for one would love to see Team Red Can return on a full-time basis. Banks & Hughesy certainly demonstrated that they hadn’t missed a step in the Tag Team Contenders Rumble, but based on their lack of permanency alone, the odds are slim. •	They’re Nacho Friends but they’re also Nacho Next Tag Team Champions. This mightn’t be a popular opinion, especially when they are in a Tag Team Championship match on February 3rd, but a mask and a catchy latino tune likely won’t do much to help Harry Aval…. El Nacho Taco’s, cause this year. •	Are they even a team, or are the Taskforce here purely to serve Taylor King’s ego? A dual appearance in the Rumble from Taylor King likely answered that one for us. However, King’s security guard Tipene, in particular, has looked impressive in his few short appearances. So if Taylor King has a change of heart and is willing to share a Championship, anything is possible. •	You might be asking why The Solution are so low on this list, being former Tag Team Champions who have had a stranglehold over EPW for most of this decade. However, with Warship leaving and the group looking less and less like a formidable unit, we can’t see them back at the top of the race without something changing. The duo of Liam Mendel and Jordan Bishop have had limited success as of late, so unless AZ Vegara & Davis Storm are leading the charge, maybe your hypothetical money would be best spent elsewhere. •	These are our dark horses for the gold in 2018. They say the wolves climbing the hill are hungrier than the wolf on top, and this speaks true for Ross Cage & Jonathon Wimbledon. Having never won the Tag Team Championships together, this is the year where they need to either make steps or re-think their position. They have stuck together and are consistently on the same page, so this writer thinks it’s only a matter of time. •	These are collective odds based on which of the 3 are teaming on any given night. Perhaps this is where The Headhunters have struggled, evident in the lack of cohesion between Twitch and the other members. 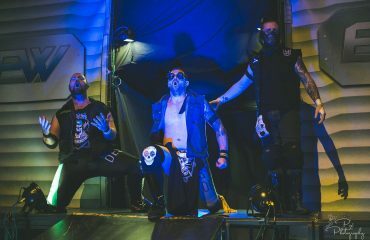 However, an attitude shift in late 2017 has given the group some promise, and we already know that they are more than capable of becoming EPW’s most dominant unit. Their recent history with Generation Zero – even more reason that another title reign could be in their future. •	Slate & Moore had a quiet 2017, but the former Tag Team Champions stomped their way into the Tag Team Contenders Rumble looking like they owned the place. Still as popular as ever and when they gather momentum, they are supremely difficult to stop. If you want a proven team who are in the primes of their careers, your smart money is on the Super Murder Death Kittens. •	You may be asking how 2 tag teams only a few months into their tag team careers could be given such high odds, but then you obviously weren’t at Re-Awakening. 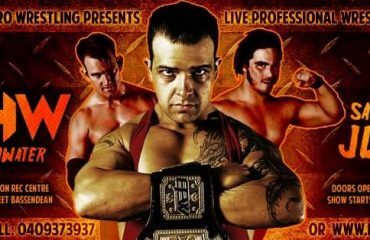 Yes, The Untouchables of Damian Slater & Marcius Pitt were absolutely world-class in execution and victory (as expected) and could be Tag Team Champions anywhere in the world, but we’re keeping our odds the same until after their February 3rd rematch. If you ask me, it was perhaps the Street Gang Hooligans of Alex Kingston & Logan Grey who impressed even more-so than their opponents. Seemingly thrown together out of nowhere, the pair gelled like no other and showed that they have the skill, the aerial prowess and the lack of fear to conquer any team world-wide. Generation Zero have the deepest division in EPW history on their heels, but they will have to lift like never before if teams such as The Untouchables or the Street Gang Hooligans come charging. If they can overcome such obstacles, Generation Zero’s run on top will be something for the history books.